According to “TV Line”: “Candace Cameron-Bure, Jodie Sweetin and Andrea Barber are set to star, reprising their roles as D.J. Tanner-Fuller, Stephanie Tanner and Kimmy Gibbler, while John Stamos will serve as a producer and guest-star as Uncle Jesse. In the continuation, due to debut in 2016, veterinarian D.J. is pregnant and recently widowed, living in San Francisco. Her younger sister, aspiring musician Stephanie, and lifelong best friend/fellow single mom Kimmy, along with Kimmy’s feisty teenage daughter Ramona, all move in to help take care of D.J.’s two boys — rebellious 12-year-old J.D. and neurotic 7-year-old Max — and her soon-to-arrive baby.” Bob Saget, Dave Coulier and Lori Loughlin are also set to return. In other “Full House” news, it was recently revealed that Lifetime — the network that brought us “The Unauthorized Saved By the Bell Story”— is producing “The Unauthorized Full House Story.” The movie will cover the rise of the cast and behind-the-scenes goings-on during the show’s eight-year run. Ron McGee, who wrote the “Saved By the Bell Story,” is set to write the “Full House Story,” which premieres Aug. 22 at 8 p.m. ET/PT on Lifetime. Q: It seems like I’ve been waiting forever. When will “Orange Is the New Black” be back? — Gina R., Fresno, Calif.
A: You’ll have to wait just a little while longer. Season three of the hit Netflix drama returns with 14 (instead of the usual 13) all-new episodes on June 12 at midnight PST. And, if you didn’t already know, “Orange” has been renewed for a fourth season, which will premiere in 2016. A: The list of big names who have signed on to star in “American Horror Story: Hotel” keeps getting bigger. I previously reported that Lady Gaga, Chloe Sevigny, Kathy Bates, Evan Peters, Wes Bentley, Matt Bomer, Cheyenne Jackson and Sara Paulson were checking into “Hotel,” and it was recently announced that Angela Bassett has been added to the hotel’s registry. Rumors have been swirling that Alexander Skarsgard and Michelle Pfeiffer would also be on the show, however, that casting news is looking to be more and more like a red herring, unfortunately. I’ll keep you posted on those developments as the premiere date gets closer. Season five is set to premiere this coming October on FX. A: Ms. Anderson is one busy lady. “Hannibal” returns to NBC for its third season tonight, where you can see Gillian as Dr. Bedelia Du Maurier. You’ll recall at the end of last season, she and Hannibal Lector (Mads Mikkelsen) were fleeing to France after the bloodbath at Dr. Lector’s house, which included much blood being shed by Will Graham (Hugh Dancy) and Jack Crawford (Laurence Fishburne). It was recently announced that she will co-star in the Lifetime/A and E/History networks’ joint production of “War and Peace,” which is based on the classic novel by Leo Tolstoy. The limited-series event also stars Paul Dano, Lily James, James Norton and Jim Broadbent, and will be simulcast on all three networks in 2016. Anderson is also set to return for season three of the BBC2 psychological-thriller series “The Fall,” which should air sometime in 2016. “The Fall” also stars “Fifty Shades of Grey” heartthrob Jamie Dornan. This fall there will be a two-hour season-two premiere, followed by 10 new hours to follow in early 2016. While there is no word yet on the exact dates of these airings, I’ll be sure to keep you posted as the information becomes available. A: I agree that it’s not fair to those without a computer. I’ll try to sum it up as best I can, and you’ll see that the scene is a setup for season two. The story picks up 14 months later. It’s Natalie’s 18th birthday, and she and Dave are having a simple celebration at a coffee shop. Detective Cornell walks in and tries to convince Natalie to testify on behalf of Ben. Natalie decides she does want to testify and clear her father’s name. Unfortunately, the way they keep referring to Ben, it sounds like he has died, but no one explicitly says that. (Ryan Phillipe recently released a statement that he will not be back for season two because his story came to and end, and a new story will be beginning.) After Cornell leaves, we see her approaching Abby and her mother as they’re on a shopping trip, giving Abby quite a scornful look. The scene fades as Cornell looks like she’s about to speak to Abby. 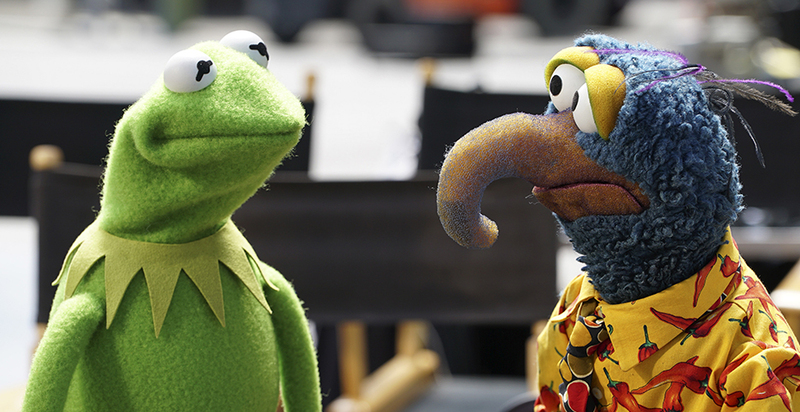 A: ABC is indeed making a new show involving the Muppets. According to “The Hollywood Reporter,” the new incarnation of the popular puppet/comedy/variety show is described as “a contemporary, documentary-style show that, for the first time ever, will explore the Muppets’ personal lives and relationships, both at home and at work, as well as romances, breakups, achievements, disappointments, wants and desires — a more adult Muppet show, for kids of all ages. Producers filmed a pilot presentation for the ABC Studios-produced series that sources say was incredibly well received.” The pilot episode of “The Muppets” was just made available on the ABC press site, and I’ll be sure to tell you how it is as soon as I’ve watched it. A: You’ll have to wait just a little while longer. The hugely popular Hallmark Channel original series, starring Andie MacDowell and Dylan Neal, will be back for its third season on Saturday, July 18, with a two-hour season premiere starting at 8 p.m. ET/PT.